Originally from Pittsburgh, PA, Val is now an Austin, TX based artist by way of.....everywhere! Val has traveled to 36 states and 14 international destinations as a performer and creative. Val is a skilled Director, Choreographer, Producer, Arts Educator, and Arts Management Professional who has performed in concert and as a theater artist Off-Broadway, in Regional Theaters, on tour, and abroad. Val's Work as a Recording Artist Spans Singing to Voiceover and includes work on albums such as Broadway's "Carols for A Cure", various children's books, and her favorite project: Songs For Young Whippersnappers! She is also a children’s book author with her book “Dilber the Cranky Banana” available on Amazon. As an educator, Val has worked for such notable organizations as: HITS Theatre (Houston, TX), TEX-ARTS (Austin, Tx), Lincoln Park Performing Arts Center (Midland, PA), Inside Broadway (NYC), TheatreworksUSA (National), The New York Kids Club (NY, NY), Webby Dance Company(National) and more. She has created original curriculum for multiple organizations and specializes in Performing Arts Education with Early Childhood Implementation. Val is also a passionate advocate of Music Therapy, having served on the advisory board of Sing For Your Seniors (www.Singforyourseniors.org) and worked to create partnerships with Senior Centers, Nursing Homes, and VA hospitals in New York City, Pittsburgh, and beyond through various organizations. Val holds a BFA-CCM Musical Theater where she was awarded the Laurie Beechman Award for Vocal Excellence. Val also holds continuing education credits in Early Childhood Education from City College of New York. Visit ValWilliamsCreative.com for more info on Val! Cassidy Adkins is a Pittsburgh native and a multifaceted theater artist who has been very fortunate to work with many of the amazing companies in Pittsburgh. As an actor, she's been seen with Pittsburgh Irish and Classical Theater (PICT), Pittsburgh Musical Theater, 12 Peers Theatre, Ghostlight Productions, Split Stage Theater Co., & Bricolage Theater Co., among others. Behind the scenes, she has been the Production and Company Manager at PICT Classic Theatre, Choreographer at the Pittsburgh Playhouse and Avonworth High School, producer, costume designer, props master, board operator, & more! And as an educator, she has taught with Pittsburgh Musical Theater, The Henry Mancini Academy, Propel schools, and Songs For Young Whippersnappers outreach! When she's not in the theater or teaching she also performs as a Professional Princess at Special Events! BFA, Point Park University COPA class of 2013. Brittany is a Pittsburgh Native who is thrilled to be a part of Songs For Young Whippersnappers! 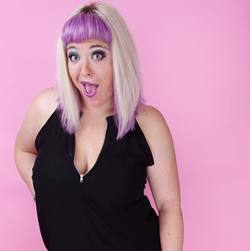 Brittany is a skilled Teacher, Performer, Choreographer, and Director who has worked with Pittsburgh's own 12 Peers Theater, Split Stage Productions, Pittsburgh Musical Theater, and Propel Schools. She is a proud graduate of Pittsburgh's "CAPA" Creative and Performing Arts High School and loves spreading love and joy through the Performing Arts! Originally from South Carolina, Leigh is a graduate of New York City’s “American Musical and Dramatic Academy” (AMDA) and holds a BFA in Musical Theatre from The New School in Manhattan. Leigh is an actor, singer, director, and teacher, She is thrilled to be involved with Songs for Young Whippersnappers and Vintageous productions! production of Guys and Dolls. In addition to her consulting work with high school and junior high students in the areas of acting, voice, & choreography for choral and theatre productions, Sarah is also a certified Music Together teacher and has taught preschool and family music for nearly 8 years. Bethany is a graduate of Texas State University-San Marcos with a BFA in theatre. Bethany worked for Walt Disney World as a Character Entertainer before settling in Austin full time. 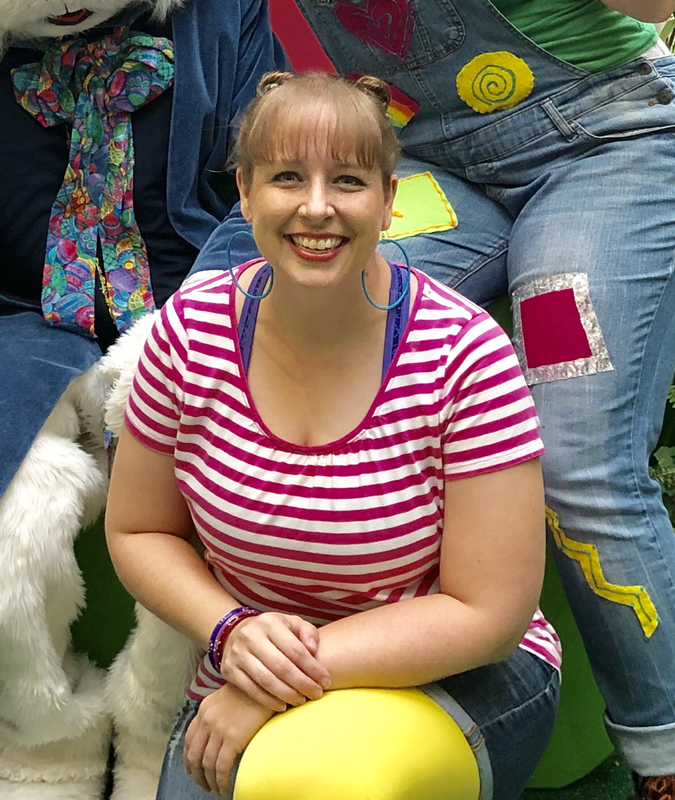 Bethany has been a company member with Pollyanna Theatre Company of Austin for 10+ years, performing new plays for children from 18 months through middle school! When she's not on stage, she shows off her great city as a LIVE tour guide!